Gaming Discussion goes here, regardless of console or era...since there aren't enough posts to warrant separate categories yet. I personally can't get enough of horror games, the more horrible the better. Unfortunately this hermit doesn't happen to know anyone who loves a genre other than COD or Halo to share in depth discussions with. So if you're a fan of games like Amnesia the Dark Descent, Outlast, etc I'd love to hear what you like about them, hated, or just thought was pretty messed up. I myself am currently pretty hyped for the release of Outlast 2, currently slated to release on April 22, 2017. I'm hoping to make a Let's Play of it worth releasing on youtube. From the snippets of info we got on it being banned from Australia it seems they're going in a more supernatural direction unless there is another twist worthy of the first Outlast. I look forward to obsessing over it at least 5 months after everyone else has stopped caring about it and moved on. Re: Any Horror Gaming Fans? I think we have one or two horror game fans here, excluding myself. I got really into them when I was 15 or so and haven't looked back. Seems like you enjoy that sorta new wave of horror games that sprouted up after indie horror got big. There was that Slenderman & SCP game, then larger studios latched on and started making higher-budget versions of that style (Outlast, Amnesia, Cry of Fear, etc.). They can be pretty effective! Unfortunately, a lot of them devolved into jumpscare-fests soon after. I guess I'm a lot more into survival-horror style ones like Silent Hill, old school Resident Evil, and my personal favorite Fatal Frame. FF was really different for me because it was the first I played that had so much focus on atmosphere and helplessness rather than a big strong monster attacking you or stuff jumping at your face. You could often see the enemies coming, but your character can't run (only walk or do a little girly jog) and has very little in the way of combat ability. It induced panic and fervent resource management rather than sudden shocks. The Siren series does a lot with this as well where you need to evade the enemy rather than confront them. You avoid them by changing your camera to a first-person view from the monster's eyes, so you can watch them search for you! It's nerve wracking. I know most of the folks who have posted on here so far, and none of them are COD/Halo-only meatheads so hopefully someone can jump in here with their two cents as well. I hadn't heard of the Siren series, I'll look into it! I've found that if there's any way of fighting back in a horror game it takes 90% of the fear away for me. For example Resident Evil 7 initially had me tense but as you gained the ability to fight back it lost that edge. On the other hand P.T. managed to inspire more dread and paranoia than any other game I've played to date. In a genre where jump scares have mostly taken over it really stood out for its reliance on atmosphere, isolation, and helplessness. Not that other games haven't used that formula but its execution was better than most. It's a crying shame the project got nixed. Cool! Glad I could help with at least one. What console(s) are you looking for suggestions on? Sounds like we agree on the "fighting back" aspect, I really like games the prioritize avoidance because it makes the danger feel more dire. P.T. was great and I'm lucky to have a PS4 with the game still on there since you can't get it anymore. You can't even upload save data to PS Plus. Allison Road was a Kickstarter project using the same technology as P.T., but then they were funded by a private company instead...creative differences arose...and that was nixed as well. 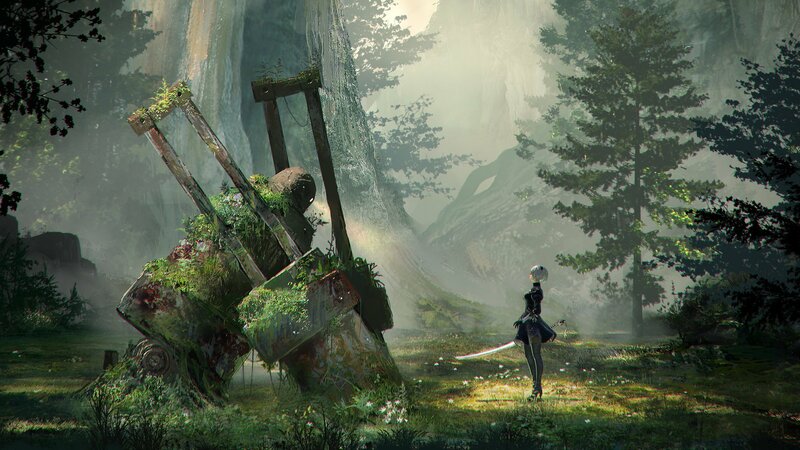 Although it's not horror genre whatsoever, the later chapters of Nier: Automata had me feeling so stranded and alone it may as well have been a horror game! Definitely PT. And definitely Silent Hill. Nioh actually had me kinda freaked out in the beginning because of how hard it was compounded with the dark setting and demons. Hinoenma is PT's Lisa on crack. My favorite is probably Final Fantasy X-3 though. Terrifying. I've seen Allison Road! That chick made me yelp haha. Lucky indeed, I'm still really salty that I didn't have a PS4 at the time to get P.T. while it was attainable. Nioh is on my long long list of things to play eventually. Okay good, I'm glad you knew about Allison Road (I probably wouldn't shut up about it to you back in the day when I backed it on KickStarter). I know that we both drool over classic games so let's talk more about that for a bit, since I feel that PC Indie horror games are a bit saturated at the moment. Is there a particular console you wanted some suggestions on? 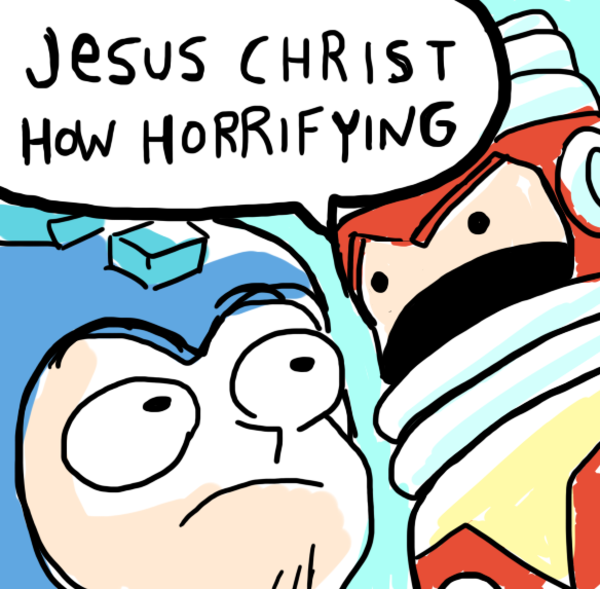 I originally had a Sega Genesis as a kid, but i've been equal parts a Nintendo guy and Playstation guy since I was 8. I've picked up some cool stuff over the years, but not a lot of rare horror games from the ps1 days, (I think the rarest one in the West is Kuon for the ps2...or perhaps Rule of Rose. I think they both go for over $100 now due to low print runs in North America). But I've always had an interest to see what's available that I may have missed. I've been using these lists to grab a few on each of my visits to Tokyo, and this summer I'll pick up a Japanese PS1. If you're into old Resident Evil or Silent Hill style, you should check out "D2" for the Dreamcast or maybe Echo Night for the ps1. I can't remember if you mentioned it or if I found it while looking for games similar to P.T. Not particularly, my problem is that because I didn't get into the horror genre of gaming until the newer indie stuff I've been kind of spoiled by the better graphics and nuances of them. I've been obsessed with horror movies ever since I could remember but before the indie wave I'd only played two horror games. One was Castlevania for the N64 which I never got far in due to being fairly young at the time and the other being Nightmare Creatures, also on N64. Now Nightmare Creatures in particular I had a love of. Note that I didn't get very far in this one either but despite the fact that it terrified little me I just kept coming back for more. Unfortunately nearly all but a few of my games were stolen a few years ago and both of these are games I've yet to be able to buy back so aside from a little of the beginning I can't contribute much to discussion of them. Speaking of Rule of Rose I actually saw a decent copy for sale in one of the used game stores I used to visit. I believe the price tag was around 120-130 if I remember correctly so your spot on with the pricing.